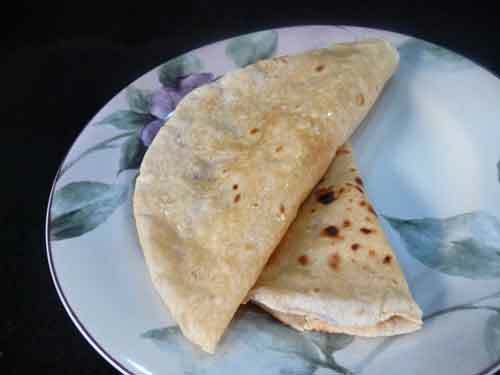 People from all regions in India eat Roti (aka rotli, phulka, fulka), an unleavened bread. Every household also has it's own Roti recipe. Whole wheat flour is kneaded into a soft dough (with or without salt and oil) and rolled into thin discs. These discs are then half cooked on a skillet or tawa and finished off over an open flame where they magically balloon up. Then a final light coating of clarified butter or ghee is smeared on before serving. Watch the video and try the Show Me The Curry Roti recipe today!